AKAI Professional have released version 3.1.1 of their popular VIP Plus and Standard bundles. It brings new features and improvements that make these bundles even more attractive. They are on promo with the VIP Standard at ONLY $49.99 (List $149.99) and the VIP Plus at ONLY $69.99 (List $249.99) until the 31st of July. 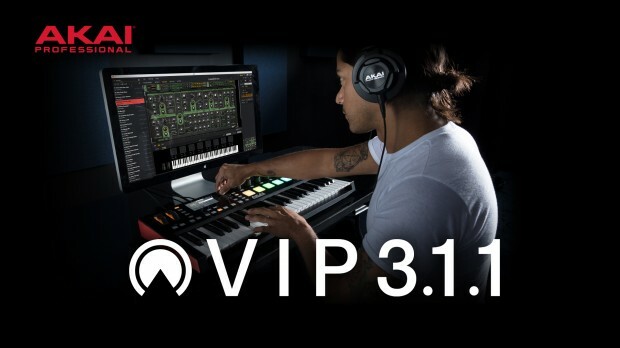 Purchase at the direct DontCrack Store links below to save big on AKAI’s VIP 3.1.1 Both VIP Plus and Standard are on promo until the 31st of July! Akai Advance series keyboards’ LEDs and displays now match when editing macro controls. Arturia Piano V2′s GUI no longer freezes VIP. This entry was posted in DontCrack, Plug-ins, Promotions, Virtual Instruments and tagged AKAI, AKAI Professional, VIP Plus, VIP Plus 3.1.1, VIP Standard, VIP Standard 3.1.1. Bookmark the permalink.